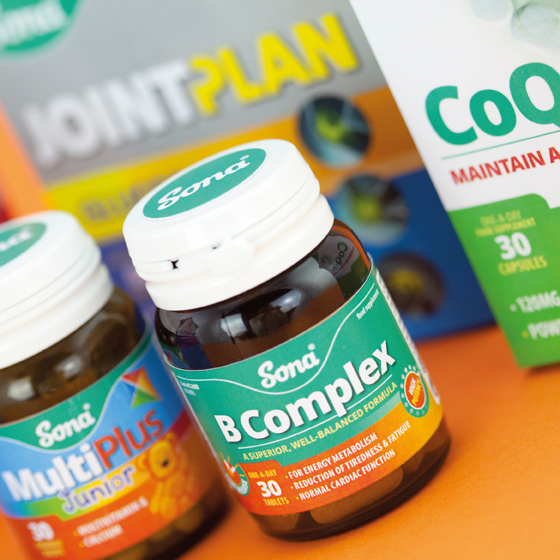 Sona Nutrition asked us to rebrand their range of 140 vitamin and nutrition products. 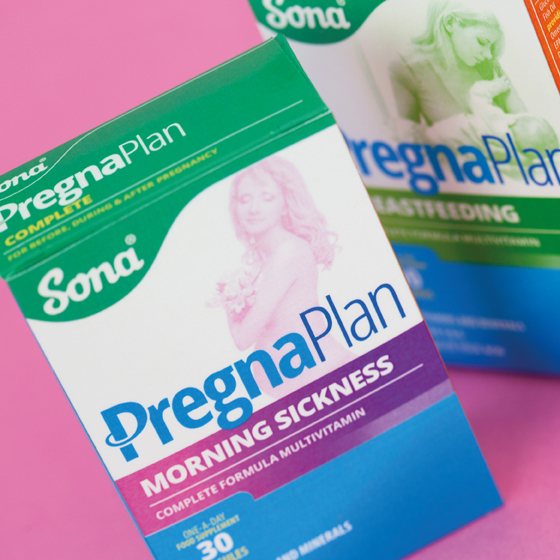 Their products had a good reputation among consumers and retailers but the pack graphics did not reflect the level of trust associated with the brand nor did they have the shelf stand-out and brand presence such an extensive product line deserved. We identified three main problems: 1. Poor level of branding, 2. Unattractive colour scheme, 3. Incoherent sub-branding. 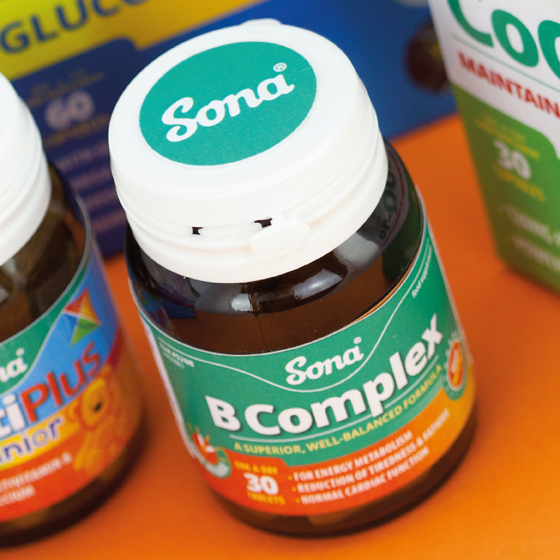 First, we made the logo much bigger, tweaking it for greater impact and we branded the cap so that the bottles – which accounted for most of the range – were for the first time, clearly identifiable as Sona products. 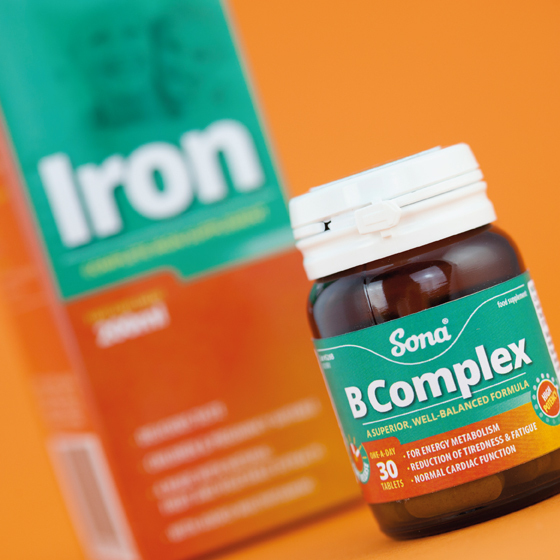 The orange background colour across the existing product range was unpopular with the client but we argued that it was the strongest brand asset they possessed. We felt the problem lay not with colour orange but with the overall colour palette which unattractively combined orange, yellow and an unharmonious green. We made the green a teal green and pushed the orange and yellow into a redder hue to make all colours complementary. We applied all the above changes to the standard range and to roughly executed treatments of the key sub-brands. Once the client was happy with the general treatment we looked at the key sub-brands in detail. 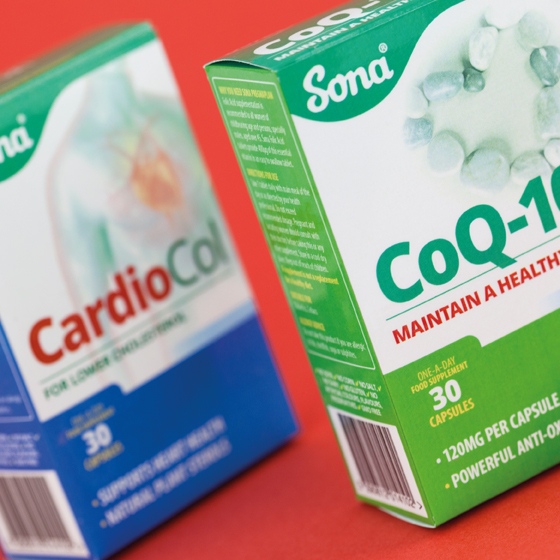 At this point Sona Nutrition decided to roll out all the artworks in-house using our design concepts as templates.